The reigning Basketball Champions League champion wants Ibon Navarro for the head coach position. AEK Athens is in talks with Spanish coach Ibon Navarro for the team’s head coaching post, according to Eurohoops sources. The two sides are currently in talks and it remains to be seen if Navarro will become the next head coach of the reigning Basketball Champions League champions. Dragan Sakota, who coached AEK during the season, is expected to stay with the Greek team but assume a different position within the club. Navarro led Spanish club UCAM Murcia to winning the bronze medal during the 2018 Basketball Champions League Final Four held in Athens. Murcia actually faced AEK in the tournament’s second semifinal game and lost 77 – 75. Murcia then beat German side MHP Riesen 85 – 74 in the third-place game to complete the season with the bronze medal achievement. 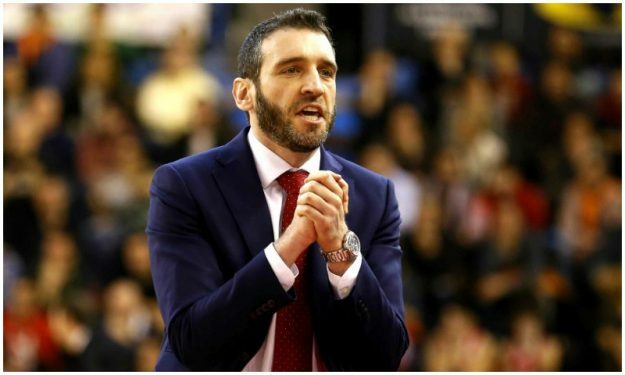 Throughout his career, Navarro has also served as head coach with Baskonia, with which he made his EuroLeague debut in 2014-2015, and Manresa.